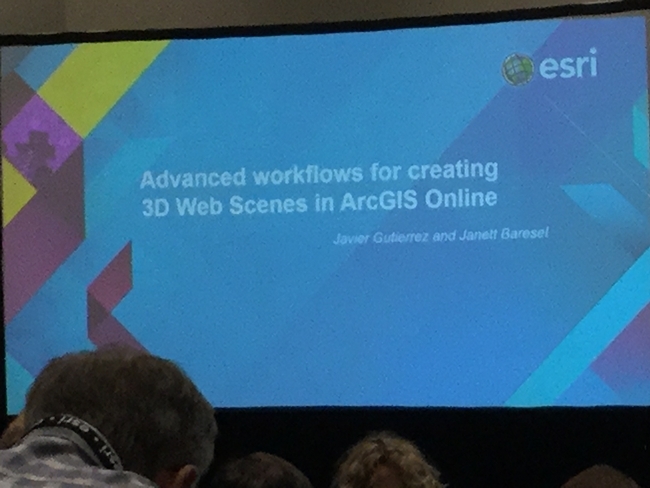 The third day at the ESRI User Conference was a good day with serveral great sessions about Web Scenes (online 3d scenes), think google earth with ESRI data and ESRI Story Maps. What are ESRI Story Maps?… to quote ESRI “Esri Story Maps let you combine authoritative maps with narrative text, images, and multimedia content. They make it easy to harness the power of maps and geography to tell your story.” To see many examples of ESRI Story Maps submitted by other GIS users following this link to view the Story Map Gallery . I think that this technology could be used extensively by IGIS and UCANR to communicate what we do to our internal and external audiences. We could use Story Maps to highlight the UCANR Research and Extension Centers, the UCANR Statewide Programs, the UCANR Strategic Initiatives, and the list could go on. To use these technologies to their fullest we will need to collaborate with many different groups within UCANR including Communications Services, Marketing, and Digital Media groups. As I stated yesterday, I look forward to implement these technologies in the near term as well. Beyond these sessions I met with many ESRI developers to discuss different GIS tools, GIS apps, GIS workflows, and solve some of the technical challenges that IGIS has been facing with ESRI tools in the GIS Service Center in the past year. It was a good day and I cannot wait to see what tomorrow brings. 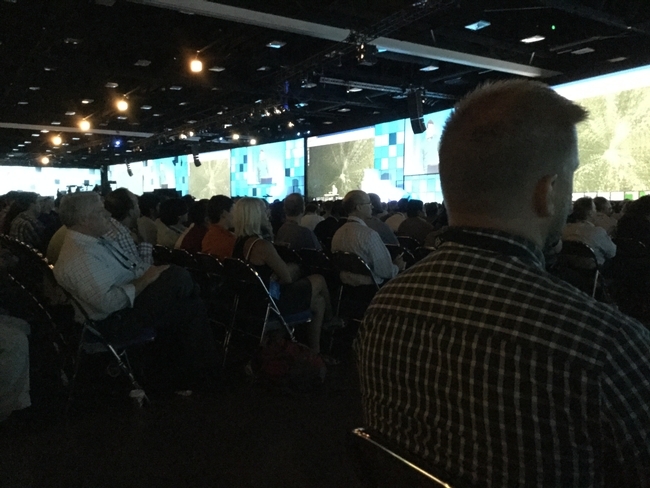 Today was the first day of the ESRI User Conference in San Diego. It was a day filled with new software, apps, and inspirational talks by special people. The plenary talk today, as always, highlighted the newest and greatest software and tools in development at ESRI. These tools included ArcGIS Professional, this is a new desktop gis platform developed from the ground up to be a multi-threaded 64-bit application for the windows platform. This new application has new and more intuitive workflows for GIS professionals. Beyond the new software ESRI highlighted several new tools for building web and mobile apps that we can build with little to no programming. These apps ranged from new web apps that are available from within ArcGIS Online to new native application builders such as App Studio for ArcGIS that will allow for the easy design, implementation, and deployment of native applications for iOS, Android, Linux, and Windows phone devices. After the initial talk by Jack Dangermond and his team we had the pleasure to hear from the former Governor of Maryland about how local and state government have changed by using GIS. We also heard from the President and CEO from National Geographic Society and his vision for a geographically enlightened youth in the United States and the world and the role that GIS plays in this vision. Last, we heard from a head doctor within the World Health Organization (WHO) and the important role that GIS played in the control and the continued fight against EBOLA in the past year. I am sure that we will hear a lot more about these new software and apps in the days ahead.